While many people know that drunk driving is against the law, they may not realize that it is also a crime to drive while under the influence of drugs. 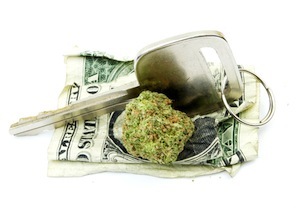 The California legislature has enacted legislation that specifically addresses drugged driving, and under California Vehicle Code Section 23152(e) VC it is illegal to drive a motor vehicle while under the influence of drugs. When the defendant drove, he or she was under the influence of drugs. A drug can be an illegal substance or a legally prescribed substance that causes impairment. It is not a defense that the defendant was legally entitled to use the drug. Law enforcement agencies employ officers trained as drug recognition experts (“DREs”) to assist in vehicle stops where the driver is suspected of being under the influence of drugs. These officers are trained in recognizing the symptoms of drug intoxication and may conclude that the driver is under the influence of drugs and subsequently arrest the driver, who would then undergo blood testing. There is currently no reliable way to measure drug intoxication using a breath or saliva test. A man is driving when he is stopped for committing a number of traffic violations. The officer suspects the man may be under the influence of a controlled substance and requests that a DRE come to the scene to assist. The DRE conducts a series of field sobriety tests and forms the suspicion that the man is under the influence of drugs. The man is arrested and submits to blood testing. The blood test results show the presence of marijuana and cocaine. This man could be charged with driving under the influence of drugs in violation of California Vehicle Code Section 23152(e) VC. There may be instances where drugs remain in a person's system despite the fact that they no longer have an intoxicating effect. Thus the driver in this type of situation would not have been driving while under the influence and would have a valid defense. A defendant in this situation may need an expert opinion from a toxicologist to testify as to the defendant’s actual impairment. Like convictions under the other subsections of California Vehicle Code Section 23152 VC, driving under the influence of drugs is typically a misdemeanor level offense. For a defendant’s fourth or subsequent DUI within a ten year period, the offense is a “wobbler” that can be charged as either a felony or a misdemeanor. A probationary sentence for convictions under this section would require that the defendant attend and complete a drug and alcohol awareness class and may also include community labor or service as well as jail sentences. When a driver is found to only have drugs in his or her system at the time of being arrested, there would be no administrative license suspension through the Department of Motor Vehicles. If the defendant is issued a notice of impending suspension at the time of arrest, this will be set aside once the blood results come back and it is clear that there was no alcohol in the driver’s system. However, if the defendant is convicted under California Vehicle Code Section 23152(e) VC, the DMV would suspend driving privileges for a six month period based on the DUI conviction. If you have been arrested for driving under the influence of drugs, it is crucial that you speak with a Los Angeles Criminal Defense Attorney right away. Even though the DMV is not supposed to suspend a driver’s license for a DUI drug case, getting a license back in this situation may require the assistance of an attorney, and there is a very limited amount of time to request a hearing. Los Angeles DUI Attorney Michael Kraut is a former Deputy District Attorney with over 14 years of prosecutorial experience who knows how best to fight DUI drug cases on behalf of his clients. For more information about driving under the influence of drugs, contact Los Angeles DUI Attorney Michael Kraut at the Kraut Law Group located at 6255 Sunset Boulevard, Suite 1480, Los Angeles, CA 90028. Mr. Kraut can be reached 24/7 at 888-334-6344 or 323-464-6453.